Local and international talents come alive within the pieces that Ashdene create! Having been based in Australia for more than twenty years, Ashdene can now boast strong partnerships with a range of designers from our country as well as around the world; together, they create definitive pieces and collections for the home. Bring a slice of Australiana to your table settings with Ashdene’s Wildlife Australia collection. Designed by Longina Phillips, each piece in this range sets a scene in the Australian bush, combining delicate pen work with vibrant painted features. Pays homage to the lush Australia bushland. 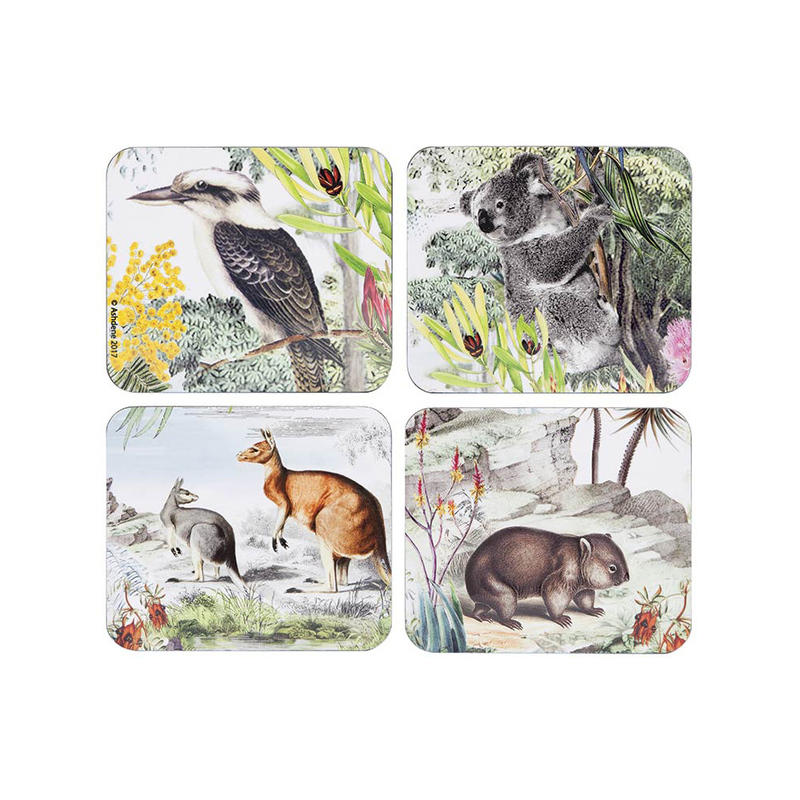 Each placemat is adorned with a unique image of Australian wildlife. Designed to withstand temperatures up to 100°C. Wipe with a damp, soft cloth and dry with a soft towel. Presented as a set of four in an Ashdene box. Dimensions: 11cm (l) x 9.5cm (w).